Marketing guy by day, photographer and content creator by night. LG V20 | The Perfect Flagship? I've been a fan of LG smartphones since the G2. The G2 was in a league of its own when it came out and it showed how great design could significantly improve the user experience. However, LG wasn't able to keep the same momentum (at least for me) with the G3 and G4 due to build quality and heat issues. 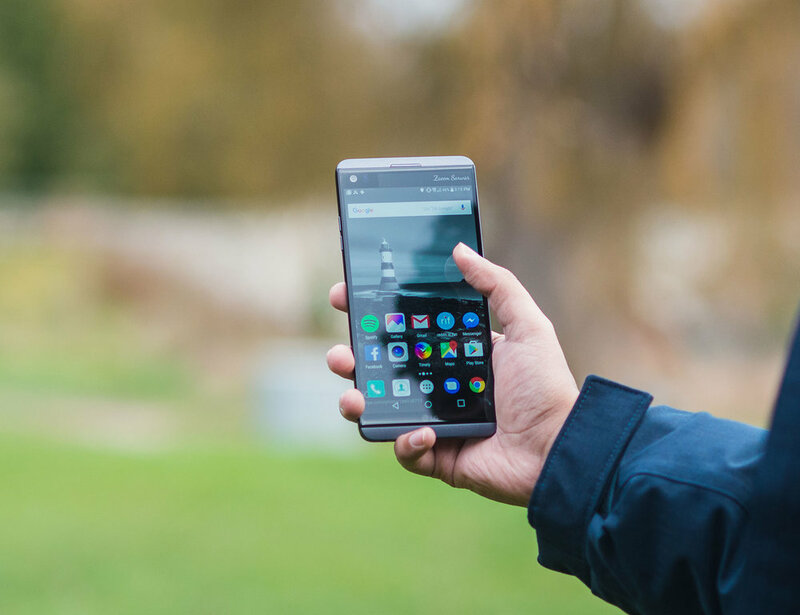 However, LG continued to innovate and came up with the LG V10, the first phone with an always on secondary display, and the G5, the first phone with swappable modules. Whether you're a fan of LG or not, it's very obvious that LG is trying to innovate and create something new. After using the LG G5 for a few weeks and being very impressed with what it brought to the table, I decided to check out its bigger brother, the V20. So, I reached out to LG and received a V20 to review. Here are my thoughts after using the phone for a month. Before getting the phone, I was very skeptical of the second screen on the LG V phones. I thought it was gimmicky and it wasn't much different from the always on screen feature offered by other manufacturers. However, after setting up my shortcuts and customizing the screen to my liking, the second screen became my favourite feature the V20 offered. The second screen adds a new array of controls to the camera. The LG G5 packed one of the best cameras in a smartphone this year, so the V20's performance came as no surprise. Yes, LG doesn't have the best sensor, and the images are a bit over-sharpened, but I'd take that over a better sensor with a bad software. The second screen makes the camera almost perfect for me. I do, however, think that it would be better to pack a zoom lens instead of an ultra wide lens. The primary camera is pretty wide as is, and just decreasing the focal length by a bit doesn't make a huge difference for a second lens. LG has been going easy on their skin over the years and the skin on the LG V20 is their leanest skin yet. While the phone isn't as fast as the Moto Z or Google Pixel, it offers some of the best performance I've ever seen in an android phone. The build is rock solid and I didn't have any apps crash on me. While I prefer what HTC and Motorola did with their skins (or lack thereof), I give props to LG for thinning down that skin. After learning that the DAC on the V20 was so powerful, I was very excited to try out the V20. And I'm happy to report that LG nailed it in the audio department. The phone sounds way better than any phone I have tested this year except for the HTC 10 and iPhone 6s/plus, which were almost as good as the V20. Also, I am so happy that LG didn't lose the headphone jack like some manufactures recently. I was very excited about the battery before getting my hands on it. The V20 packs a 3200 mAh battery, which is bigger than the G5 and the V10. While the battery wasn't as bad as the Moto Z, I couldn't get through a full day without having to charge it sometime close to the evening. On average, I got about 3-3.5 hours of screen on time. However, having the ability to replace the battery is a huge plus in my phone. For those of you who like keeping a spare battery around, you won't have to worry about. Two batteries are more than enough to get you through a day and maybe even push to 1.5 days. While this is a plus for some people, I prefer to use phones I can easily do everything on using only one hand. I do like the large screen as it is great for consuming media, but it took some getting used to. I'd be all over this phone if it was a bit smaller. The LG V20 is easily one of the best phones LG has manufactured in some time. The phone provides everything a power user can ask for such as a replaceable battery, two very capable cameras, amazing audio quality, fast performance, and a sleek industrial design. However, that doesn't mean the phone is perfect. The size and the battery life of the phone make this a difficult purchase for people with small hands or people who do not like dealing with extra batteries and chargers. If you want a big phone that does everything very well and has a replaceable battery, this phone is a no-brainer.